Postcolonial Networks – Jørgen Skov Sørensen asks, Is there a postcolonial mission without a postcolonial theology…? Jørgen Skov Sørensen asks, Is there a postcolonial mission without a postcolonial theology…? Is there a postcolonial mission without a postcolonial theology…? Dana L. Robert. Christian Mission: How Christianity became a World Religion. Blackwell Brief Histories of Religion Series. Malden and Oxford:Wiley-Blackwell, 2009. Ogbu U. Kalu, Peter Vethanayagamony and Edmund Kee-Fook Chia (eds.). 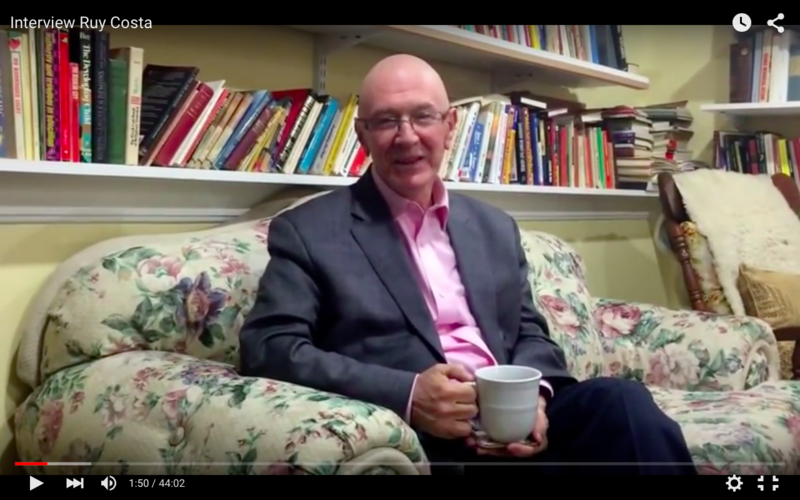 Mission after Christendom: Emergent Themes in Contemporary Mission. Louisville: Westminster John Knox Press, 2010. Marion Grau. Rethinking Mission in the Postcolony: Salvation, Society and Subversion. London and New York: T&T Clark, 2011. “What kind of transformation and encounter are desirable, who decides, and how do we know?” (Grau 2011, 17). This could be not only one of the main questions of Marion Grau’s book, Rethinking Mission in the Postcolony, but also the central question put to every church and every individual engaged in contemporary Christian mission: What kind of mission? What kind of theology? And who decides? It is also the question dealt with in the three books under review. All three are recent accounts of historical and contemporary challenges for Christian mission, which is currently facing globalization and postcolonial critiques raised not only by representatives from the former colonized parts of the world but also from what was once the “Christian heartland” of Europe. The three books under review all witness to the fact that the mission of the Church is no longer what it used to be. Christendom, defined as a variety of Christian belief based on a theology of an alleged superior European understanding of Christ, is now fading away. The days have gone where we would state that we work for the transformation of the unevangelized masses into evangelized Christians through the encounter with orthodox, universalist views on Christianity, based on firm Biblical evidence and belief. In our postcolonial reality, we can no longer answer Grau’s questions easily. Our books also witness to another fact, surprising to some: Christian mission has come onto the agenda again. Not that it ever evaporated entirely, but after the hay-days of European world mission at the Edinburgh 1910 conference, the impact of two world wars and the subsequent decline of 19th century-style colonial enthusiasm have tampered with the traditional view of mission “from the West to the Rest.” The “moratorium,” instituted in the 1970s by emerging postcolonial receivers of western mission, especially in Africa, brought about the signs for a new pattern of mission, and, after a time-out, a more humble and unassuming attempt to be church seems to be emerging. Slowly, a transformation from a well-ordered modern view of the world with a European power centre into a much more complex understanding of life is taking place. All three books in review address this new situation in a variety of ways. They are not just three individual books; they are also three very different books. 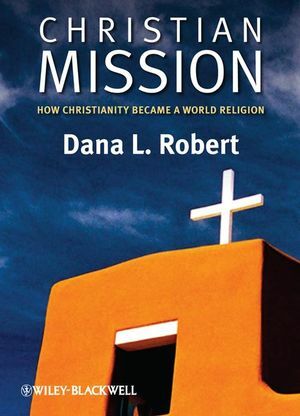 Take the book titles for example: Dana L. Robert’s monograph assumes some certainty with its rather affirmative title Christian Mission: How Christianity became a World Religion. Robert indicates a historical point of departure and a traditional recollection of the historical development, through mission, of Christianity as a world religion. And, true to its title, that is what her book delivers: historical accounts of mission history in a rather brief, attractive narrative form. Robert is not left untouched by global developments in world mission. This is clearly illustrated in the latter part of her book, with chapters on transversal themes as examples of the impact on “orthodox” Christian belief by the contexts encountered in a number of political, cultural and historical settings. The structure of her narratives stress what may be the main missiological—and theological—point of view of her monograph, namely that mission history is the tale of a Christian belief gradually taking on new shapes and forms in the encounter with varieties of human customs, traditions and civilizations. This was commonplace knowledge even before postcolonial times. Participants at the Edinburgh 1910 event knew this was the case. What is unique to Robert is her way of describing the process: Christian mission expands the Church but at the same time causes the Church to lose control over the message—and, it is revealed by some of Robert’s examples, to lose control over the messenger, too. Cross-cultural mission demands more than rock solid loyalty to a culturally-biased message. Dana L. Robert does not give up the thought of a “universal vision” and she states that such a vision “transforms the local, and the local brings personal meaning to the universal” (Robert 2009, 177). Who is the carrier of the universal, culturally unbiased, vision, then? We are not presented with a clear response to that. In other words, Grau’s introductory question above is not answered. Robert’s monograph is a superior, popular introduction to some of the burning issues in contemporary mission. One could have wished for more theological analysis of the processes that make up Roberts illustrations of her point of view as well as more references to her sources, but her narrative approach hardly allows either. Robert has opted for an account that is less analytical and less scholarly in the traditional sense, but therefore presumably more accessible to the broad public. Ogbu U. Kalu, Peter Vethanayagamony, and Edmund Kee-Fook Chia’s choice of book title tells us that they move in a slightly different direction. 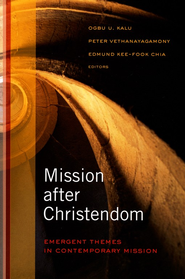 Whereas Mission after Christendom stands out in a rather affirmative way, the subtitle, Emergent Themes in Contemporary Mission, is opens to a plethora of interpretations. Again, we are presented with a book that delivers what it promises on the front cover. A number of missiologists, raging from some of the best known and most widely read of their kind to some lesser known, contribute to the collection. 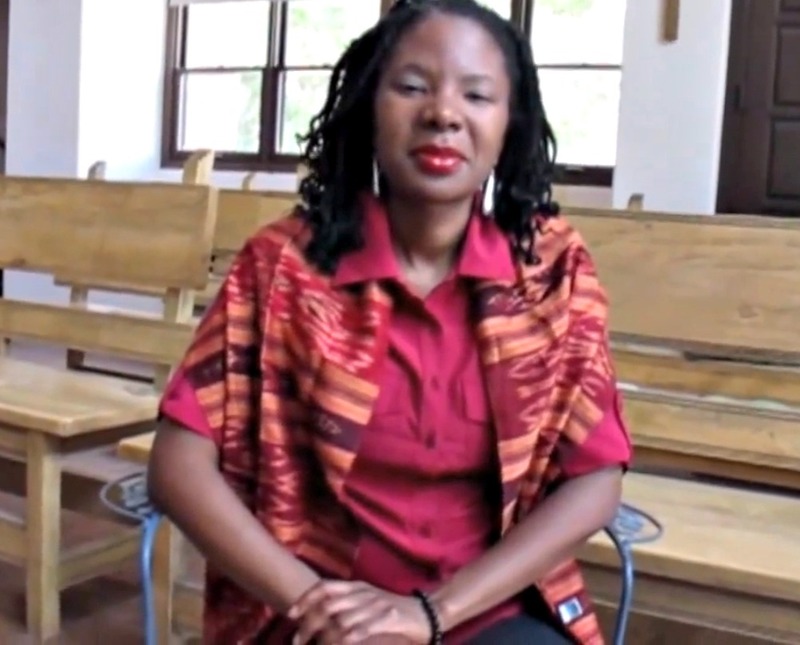 Their immediate shared interest is a commitment to the Chicago Center for Global Ministries, but apart from that they represent a cluster of diverse denominational relations, affirming that missiology today is more than ever a cross-denominational discipline with concerns other than the divisions and politics of church history. In this sense, the book leans on the tradition of Edinburgh 1910, the first major “global” and interdenominational mission conference. The centenary of this event was celebrated in 2010 and Mission after Christendom is conceived as part of the discourse initiated in those celebrations. This context stirs a natural interest towards the differences caused by the move from colonial to postcolonial times: Mission after Christendom is a postcolonial understanding of mission. This assumption runs through the volume as an important premise. This understanding of mission, however, is not yet manifest in mission in general, and hence the subtitle, “emergent themes,” makes good sense. In their own words from the book cover, “[f]rom these essays, a vision of twenty-first-century mission begins to emerge” (Kalu, Vethanayagamony, and Kee-Fook 2010, back cover). This in itself is a humble view on what the essays will contribute to the discourse and, truth be told, not all authors manage to move beyond the historically conditioned developments in mission history since 1910. 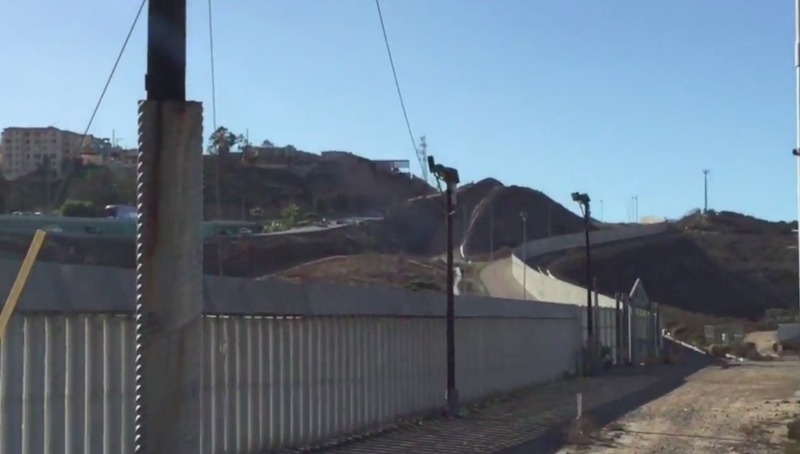 However important these developments are, as a reader it is frustrating that several authors have chosen to go into detail on the very same analyses—analyses too similar to constructively illustrate one another’s individual differences. Seen as individual pieces of missiological research, every entry is valuable, be they constructively missiological or simply historical accounts, but a sharper and more thorough editing would have served this volume better. Nevertheless, the main idea behind the publication is laudable. To collect, describe and analyze some of the most urgent issues faced in missiology today will never be in vain. In this sense, editors Kalu, Vethanayagamony, and Chia deliver. The remaining of the three books, Marion Grau’s Rethinking Mission in the Postcolony: Salvation, Society and Subversion, stands out from the crowd. Grau’s monograph is an openly ideological book with an agenda beyond mere description and analysis. Grau has a mission to “rethink mission” in the postcolonial context, working her way towards a theologically constructive outcome, acknowledging the symbiotic relationship between mission experiences from the borderland between traditions and constructive theology. Grau works from the assumption that, based on personal experience and historical evidence, “theology is always on the way” (Grau 2011, 2). Traditional mission has it that this expression describes the travelling nature of the gospel from the evangelized to the unevangelized. For Grau, it means more than that. Theology or faith itself is transformed through the plethora of encounters that take place over time. This constitutes the landscape and condition of the global postcolony, and of Christian theology—always on the way. The question is of course whether Grau delivers what she has prepared her audience for with her title. Does she manage to rethink mission in the postcolony? To some extent she does, but not without leaving the reader with a number of unanswered questions. Naturally it takes more than a single monograph to rethink mission, but Grau does a very good job. The intention and the courage to attempt this task is itself commendable. For the time being, Rethinking Mission is probably the most well-researched, scholarly prepared and thorough accounts on the issues at hand. With so much at stake, however, there are bound to be minor disappointments, too. For me it is Grau’s extensive focus upon mission history that makes up three substantial chapters plus added material in several of the remaining chapters. Obviously, in a book that takes its legitimacy from reinterpreting colonial history, a great deal of its basic material and evidence must deal with historiography. Nevertheless, I would have wished for deeper theological analyses of the evidence collected. I was expecting a more theologically constructive attempt from Grau. 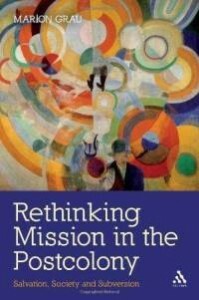 Marion Grau is a constructive theologian, but in her quest for a rethinking of mission, in my view, she pays too little attention to the fact that rethinking of mission both requires and produces rethinking of theology. Summing up, there is, in the market for books on mission, a massive array of publications that give little or no attention to the postcolonial times in which we live. The three books reviewed here are not amongst them. They fully acknowledge mission as a multifaceted discipline, operating from everywhere to everywhere and with a potential impact on what we know as “orthodox” European theology. These are important first steps—emergent themes one might say—towards mission in the postcolony. 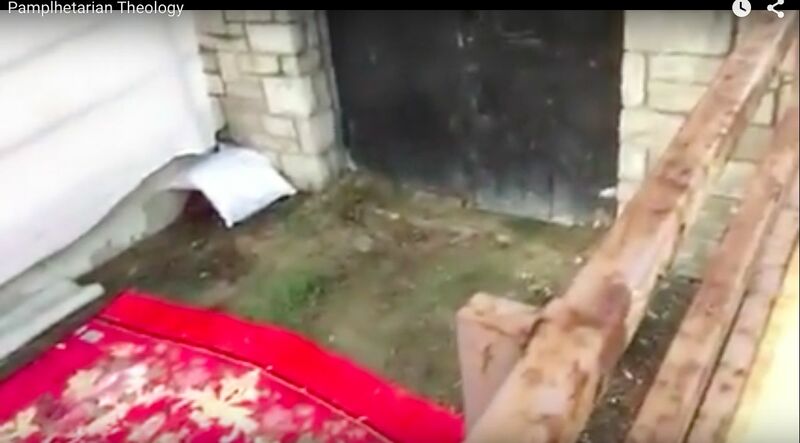 But is this enough to constitute truly postcolonial Christian mission? Or is there some unfinished business to be dealt with? It is somehow not only necessary, but also relatively easy, to critique a mission history packed with illustrations of colonialism at its worst. Few would seriously question that contemporary mission has to look critically towards the past. The three books reviewed above are by no means exceptions, as they do thorough work in the field of mission. Yes, mission history must reshape in the postcolony and, yes, mission is now taking its form and shape through all sorts of encounters and directions and not only from the West to the Rest. However, need progressive Christian communities now take the postcolonial negotiations one step further? Need progressive Christian communities acknowledge that they must start considering whether what we know as theological core issues and patterns require our postcolonial attention even more than history does? 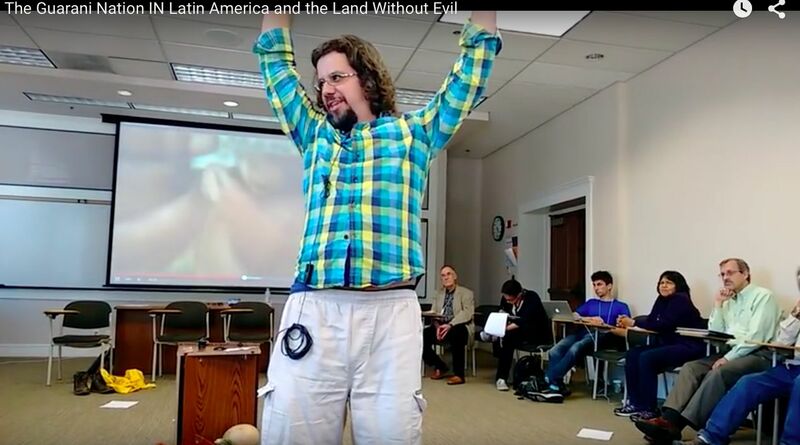 Has mission history—to be honest—had its share of postcolonial trouncing? For sure, there is no postcolonial mission without a de-colonized mission history. Experience from mission history is one of the most, if not the most, important impetuses for a contemporary postcolonial mission. But is there a postcolonial mission without a postcolonial Christian theology? “What kind of transformation and encounter are desirable, who decides, and how do we know?” (Grau 2011, 17). In my view these questions are theological, and in need of postcolonial negotiation. Based on the many insights of Robert, Kalu, Vethanayagamony, Chia and Grau, I cannot wait to read their prospective three-volume sequel, Rethinking Theology in the Postcolony. Jørgen Skov Sørensen is General Secretary of the Council on International Relations of the Evangelical Lutheran Church in Denmark. He holds a PhD from Birmingham University, UK, has previously taught ecumenism, missiology and interreligious relations at the United College of Ascension, Birmingham (UK), and systematic theology at the Centre for Multireligious Studies at University of Aarhus (Denmark).